Our business centres all around wine and spirits. We love tasting lots of wine styles; the diversity; discovering new producers and regions; running wine and spirit courses and events; visiting wineries and distilleries; and coaching and converting people to truly appreciate the sheer beauty and magnificence wine and spirits can be. Therein though lies a responsibility. After a hard day at work or perhaps a fantastic workout in the gym, it’s tempting to open a bottle of wine to help you chill out and relax. Just one glass that turns ends up with you finishing the bottle. 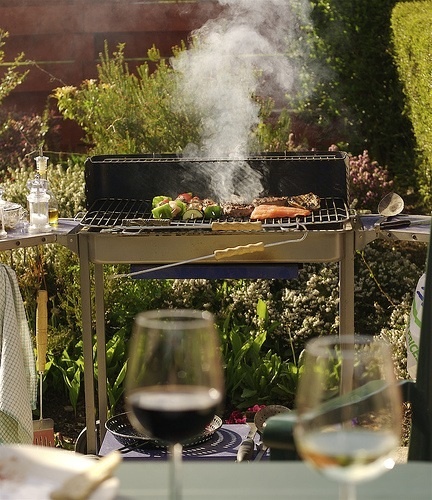 This current run of fabulous weather in the UK often encourages us to have a BBQ midweek as well as the weekends and oh wouldn’t it be nice to also have a cool beer, or glass of wine which then becomes two or more. Result? A rotten night’s sleep, bad skin, feeling bloated, dodgy stomach, those jeans not fitting as well from weight gain etc etc as a result of indulging a bit too much. Regardless of how healthy you think your behaviour is, in an average day, by drinking more than the daily unit guidelines you really could be damaging your health. A unit is 12ml of alcohol so you just need to calculate what the abv (alcohol by volume) of the wine or spirit you are drinking to work it out. Buying a 14% abv standard bottle of wine and having 4 glasses out of it = 2.6 units in one glass!!! What you drink is important to consider too! There’s an old saying that ‘red wine is good for the heart’. There is an element of it as red wine has a high concentration of antioxidant substances called ‘flavonoids’ which can help protect the lining of blood vessels in your heart, prevent thrombosis and so on. White wines and white spirits like vodka, gin, cider etc contain the least concentration of flavonoids. But with everything in life, moderation is the name of the game! Don’t spoil it! All your hard effort and sweat in the gym can be completely negated by drinking after a workout! Wine is pretty hefty in calories, but just switching to G & T to reduce the calorie intake doesn’t really work as three double gin and tonics a day will still see you putting on 4lbs in four weeks! Our mantra is and always will be ‘drink less but better’. Simple.